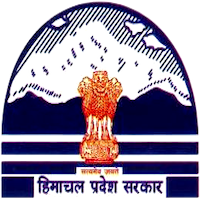 Online Application Details for Himachal Pradesh Prison Department HP Prison Department Recruitment of 39 Male Warder is given below. Candidate's minimum education qualification for the Vacancies in Himachal Pradesh Prison Department HP Prison Department should be 12th Passed. only those home guard candidates who have put in minimum 2 years satisfactory service as home guard volunteer in home guard organisation. Application form and duly attested documents are to be sent to The Superintendent of Police (Prison), H.P., Directorate of Prison & Correctional Service H.P., Block No. 31, SDA Complex, Kasumpati, Shimla-171009. In envelope super scribed with 'Application for the Post of Post Name'.